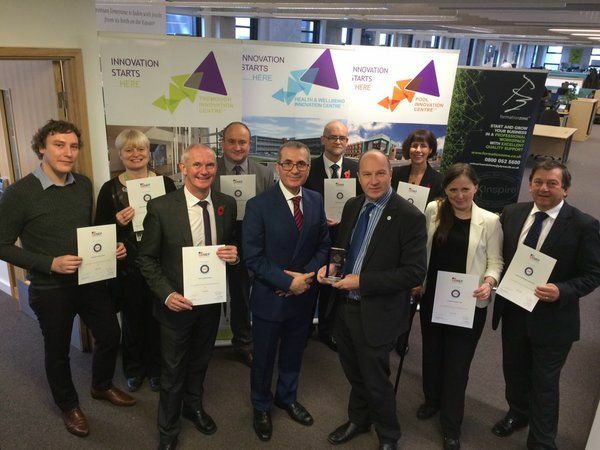 Formation Zone, in partnership with Cornwall Innovation, has been accredited by NEF: The Innovation Institute. As Plymouth’s only accredited business incubator, Formation Zone is already a highly regarded and award-winning start up space. And now, to add to our UKBI accreditation, in partnership with Cornwall Innovation we have been accredited by NEF: The Innovation Institute. The Innovation & Knowledge Exchange Accreditation recognises the level of innovation skills within Formation Zone and the Innovation Centres in Cornwall run by Plymouth University. As international leaders in SciTech innovation and growth, accreditation from NEF is further confirmation of the leading role that we are taking in innovation in the region and beyond. We are all delighted to receive this accreditation from such a prestigious industry leading organisation. Formation Zone and the Innovation Centres pride ourselves on our supportive approach to developing innovative businesses and the brilliant people who run them. To be the first University to have this approach recognised by NEF is a real honour. The Innovation Institute, guided by its prestigious Innovation Council, works with over 500 companies impacting their performance and talent development. Alongside its work in industry, NEF works with government agencies to support innovation and knowledge and technology transfer programmes. In education, NEF influences the shaping of education policy through evidential research as well as implementing science, engineering and technology strategies in over 50 educational partners.